The results of a new survey commissioned by SOCAN provide new evidence to support the development of Music City strategies, like those detailed in Music Canada’s landmark study, The Mastering of a Music City. The SOCAN study titled Live Music & Urban Canadians confirms that most Canadians living in urban centres think it is important to live in a neighbourhood “with a vibrant local arts scene that includes live music” and support a portion of funds from new property developments going to community arts and culture developments. Some details of the survey were initially shared in an opinion piece for the Toronto Star by SOCAN’s CEO Eric Baptiste titled Cities can create conditions for live music to thrive. The article was followed by another release expanding on the results of the survey and proposing ways that municipalities and music fans can support live music. Respondents with a university degree (71%) were more likely to agree with this sentiment versus those with a college (58%) or high school (49%) education. Urban residents in Atlantic Canada (74%) were also most in agreement versus residents in other parts of Canada, followed by Quebec (68%), British Columbia (67%), Ontario (63%), Saskatchewan and Manitoba (54%) and Alberta (50%). SOCAN’s survey stated that “currently new property developers in some municipalities are required to put a portion of funds towards community development, city parks, etc,” and asked respondents whether they would support a portion of these funds being put towards arts & culture developments like live music venues and local theatres. Urban Canadians who agreed that living in a neighbourhood with a vibrant arts and live music scene was important to them were significantly more likely to agree (91%) that development fees should support arts & culture developments than those who did not agree (62%). SOCAN’s survey noted that many condos in the US and Europe have restaurants and bars in their lobbies. Of the urban Canadians who responded that they would enjoy live music in their lobby, young Canadians aged 18-34 were most likely to agree (66%) and respondents living in Quebec were less likely to agree (39%) than Canadian outside of Quebec (55%). As noted in The Mastering of a Music City, music can play a powerful role in city brand building, and also in attracting and retaining talent and investment in a city’s broader economy. In a world where talent is highly mobile, some cities are focusing on the vibrancy of their music and arts scene as a way to stand out from the competition. SOCAN’s research adds further evidence to support this observation. 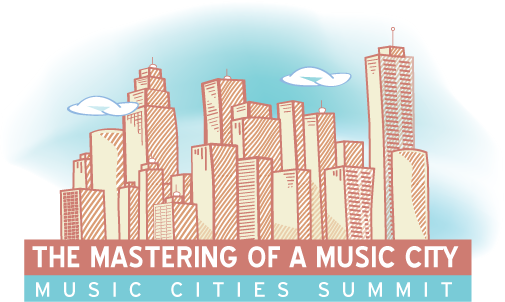 Access to the spaces and places in which music can be made – from education to rehearsal to recording to performance – is also one of the seven key strategies to grow and strengthen a local music economy identified in The Mastering of a Music City. But the relationship between residential buildings and these spaces, including live music venues, rehearsal spaces, and arts hubs, is one in which cities across the world are attempting to strike the right balance. New residential developments have, in some cases, been developed on properties formerly occupied by live venues or community arts hubs. Other venues have been threatened by rising rents, property values and taxes that do not consider the social value of these cultural spaces. What tools are at a city’s disposal that might be, given SOCAN’s research, supported by urban Canadians? 401 Richmond, a live-work community arts hub in Toronto, was recently confronted with a property tax increase that threatened its closure. Recognizing the cultural significance of venues such as 401 Richmond, the Province of Ontario announced it was prepared to, in conjunction with the City, develop a new tax class for heritage properties. In Toronto, while various measures are under consideration and review, the City’s Film & Entertainment Industries’ Music Unit can now add comments to applications circulated by the Planning Division for any new development within 120 metres of an existing live music venue so that staff can identify any potential conflicts and make recommendations. These and other policies, like reviewing noise bylaws, can go a long way in allowing live music venues and residential properties to coexist, facilitating the conditions for the vibrant arts and cultural communities that SOCAN’s research has shown are important to nearly two-thirds of urban Canadians. This research comes as regions across Canada, including London, Vancouver, Hamilton, Windsor-Essex, Moncton, Ottawa, Barrie-Simcoe County, and more have implemented or are considering strategies to better support and grow their music ecosystems. 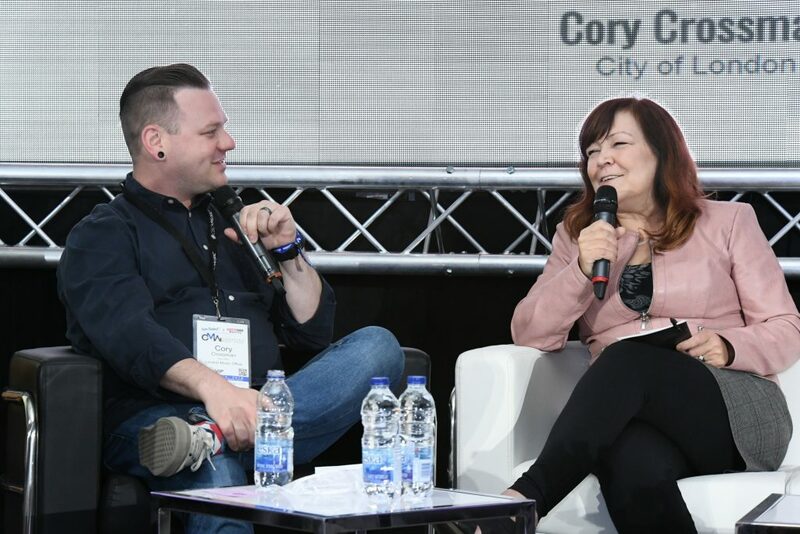 SOCAN’s new findings provide even more evidence for the value in municipal strategies that create the environment for music ecosystems to flourish. A new music advisory council for the region of Windsor-Essex will advocate for the local music community following the recommendations of the Windsor-Essex Music Strategy Report. The report and the advisory council were organized by the WindsorEssex Economic Development Corporation (WE EDC) and the Small Business Centre (SBC) in their efforts to foster growth and collaboration in the region’s music sector. The new music advisory council will be made up of musicians, producers, managers, and representatives from other local arts groups, according to WE EDC. One of the council’s goals will be to bolster local artist development and assist musicians with the business side of their careers. The music advisory council will also seek to increase communication between all players in the local music scene. “There’s some amazing things going on in our city, but they are happening in silos and so we really want to make sure that everyone is getting the information, everyone is communicating so we can make those things bigger and leverage them,” said Adam Castle, Economic Development Coordinator at WE EDC. The music strategy is based on Music Canada’s groundbreaking report: The Mastering of a Music City, which highlighted music as an economic driver and outlined a roadmap for municipalities to leverage and support music in their communities. And in September 2016, Music Canada’s Amy Terrill facilitated a live research symposium with the WE EDC, the SBC, and individuals from the local music industry. The data collected from this event and other industry roundtables formed the basis for the region’s new music strategy, which highlights the vibrancy and diversity of the region’s artist community, strategic opportunities for local artists, award-winning local venues and events, and well respected post-secondary music institutions within the region. Increase opportunities for local music artists to develop and succeed. Provide artist-entrepreneurs with development tools necessary to create a sustainable music business that is commercially viable and export-ready. This will create long-term economic growth within the local music ecosystem in both jobs and investment. Support the development of the larger regional music ecosystem through the creation of a music advisory council that will advocate for music-friendly municipal policy, and act as a planning body for local music initiatives. Work with local partners and organizations to collaborate and promote available resources. Strengthen our local music industry’s relationship with funding providers at provincial and federal levels. Attract and retain a young and dynamic workforce whose quality of life will be enhanced through living, working and playing in a community with a strong arts culture. Leverage partnerships nationally and internationally that will connect Windsor-Essex artists to broader markets. Embrace and showcase the Windsor-Essex Region’s diversity and multicultural talent. Read more about the music advisory council. 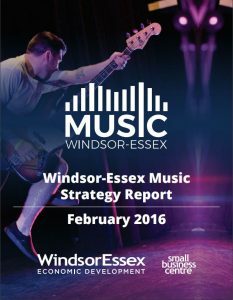 Read more about the Windsor-Essex Music Strategy. NOW Magazine’s October 13, 2016 cover, featuring Alaska B. of Yamantaka // Sonic Titan. 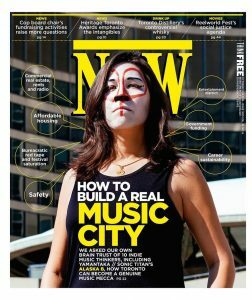 Last week, NOW Magazine’s cover story, entitled “Dreaming of Music City,” featured interviews with ten members of Toronto’s local music community including artists, promoters, producers, record label owners, and music festival operators. They were asked about their experiences and the challenges they see for Toronto in becoming a world-renowned Music City. The article highlights several important issues, including: the safety of musicians (and audiences) who belong to marginalized groups, affordable housing for musicians and artists, music industry-community collaboration, and music venue accessibility. Government funding, entertainment districts, and the use of public space for music are also discussed as policies for the city’s consideration. Since the release of The Mastering of a Music City report in Summer 2015—a report which serves as a roadmap for cities seeking to grow their music communities and become Music Cities with vibrant, actively promoted music economies—Music Canada has travelled to music events and policy conferences around the world to share Music City best practices and strategies. Affordable housing and the threat of gentrification are issues for artists in most major cities. A few years ago, Nashville, Tennessee recognized this and the City collaborated with the Music City Music Council and members of the arts community to create an arts-focused affordable apartment residence called Ryman Lofts. The residence offers affordable housing in the city specifically for artists. The city of Aarhus, Denmark has Music City aspirations. MONO, an organization for active rhythmic musicians in the city, operates a professional development and gathering space where artists can rent rehearsal facilities, a concert venue, attend workshops, record music, store their music gear, and network with others in the community. MONO has 40 rooms and is used by over 120 bands. In Fort Collins, Colorado, private investment from the Bohemian Foundation and community organization led to the creation of The Music District. The Music District is a collection of five buildings which have been (and are still in the process of being) converted into a music hub. Artists can reserve or rent rehearsal spaces, attend music workshops, rent and service equipment, and practice their performances all within the facility. Bogota, Columbia is a leader in using music to activate parks and public spaces. The city’s al Parque festivals are supported by the Ministry of Culture and various arts organizations. Throughout the city, throughout the year, and all for free, Bogota draws hundreds of thousands of music fans to its public parks where local, national, and international artists of all genres play for massive audiences. 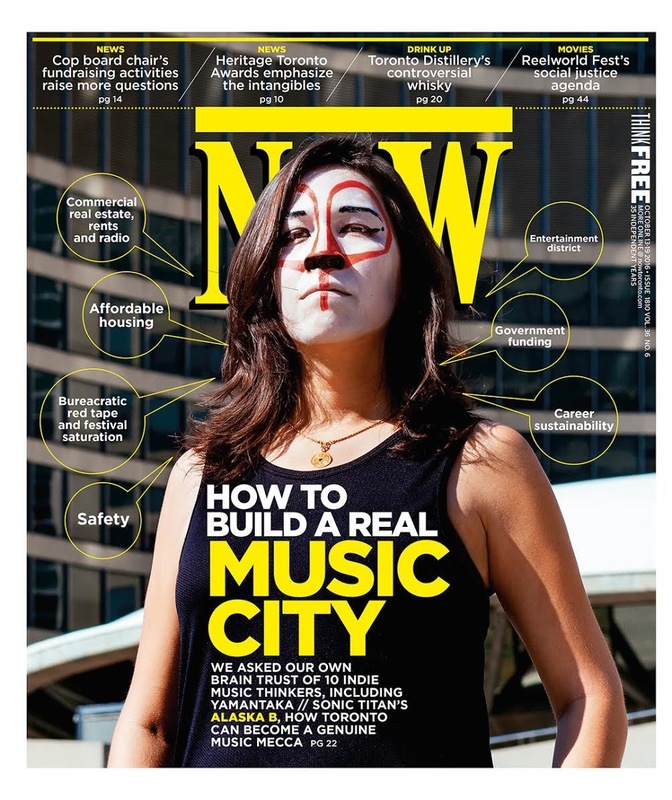 It is important to recognize, as the authors of the NOW Magazine article do, the progress that the City of Toronto has made towards its Music City goals: the signing and meeting of the Austin-Toronto Music City Alliance, the creation of the Toronto Music Advisory Council, council’s adoption of the Toronto Music Strategy. The experiences and perspectives of the music community are critical to the growth of the Music City project, and this kind of discussion is an important part of the process. Music is increasingly being seen as an important means of economic development with Music Canada’s Mastering of a Music City as the primary resource in this effort. A vibrant nightlife, of which music is so much a part, is critical for attracting and retaining talent. Cities like Austin and Nashville regularly lure investment, new business growth and talented workers, through a deliberate program to sell their cities as great music cities. But a vibrant music scene doesn’t magically happen. Attention must be paid to the many bylaws and regulations that impact music. The music ecosystem, with artists and musicians at the heart, needs to be nurtured, supported and promoted with a focus on commercial music as well as not-for-profit enterprises. Infrastructure, in the form of individuals or bodies who facilitate regular communication between the city and the music community, are necessary. Sometimes there is also an important role for investment in hard infrastructure like transportation networks and performance facilities. 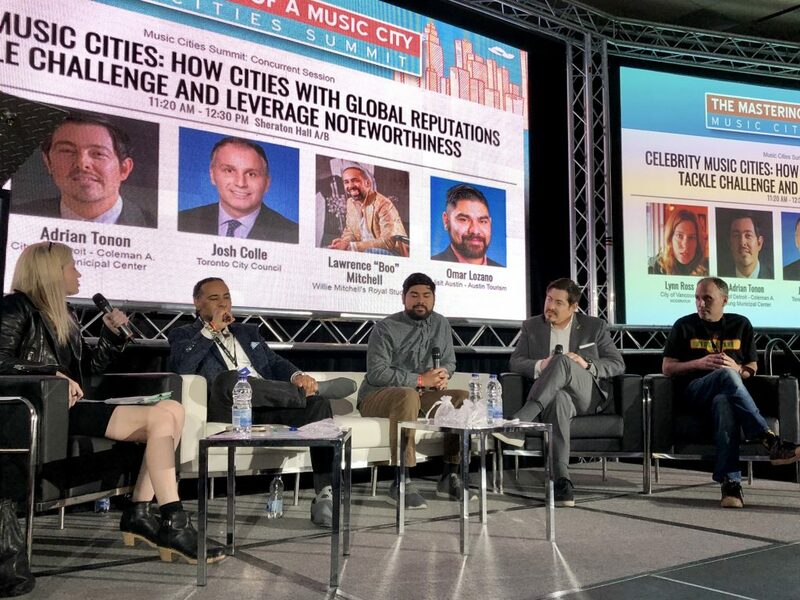 The Mastering of a Music City, designed to be a road map for communities that want to engage with their music community and build a vibrant music economy, is being utilized across Canada, the US and internationally. Music Canada has added to this work with a tool kit designed specifically for chambers of commerce, important agents in community economic development work. And the word is certainly spreading. Music Cities will be the topic of a panel discussion and presentation at the International Economic Development Council (IEDC) annual conference on September 27, 2016. IEDC is a membership organization serving economic developers with more than 4,500 members. 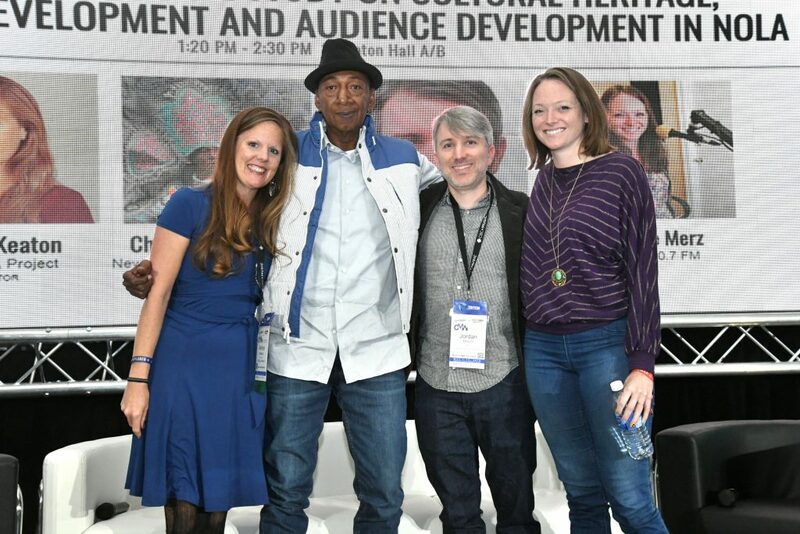 And next month, Amy Terrill will participate in a discussion on music and cities, at the 5th UCLG Congress World Summit of Local and Regional Leaders in Bogota, Columbia. Ultimately, Music Canada and our members are leading this initiative in order to improve the odds for those wanting to develop careers in the music industry – in order to create a stronger music community. Music interacts with cities in ways that benefit those cities. Contributing to a broader understanding of that value will, in turn, bring about greater opportunities for all of us to make music.